Overturning the paint bottle, water cup or some other chemicals during the painting work can cause a lot of damage. 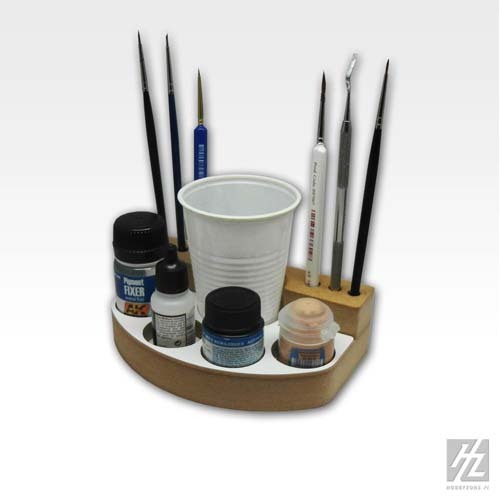 Thanks to our SM01 Painting Tools Stand, all will become safe and stable and you will be able to focus only on your painting work. The set consists precision fitting parts. Placing the whole set is not something complicated. For the combination of elements, you will need a small quantity of wood glue. 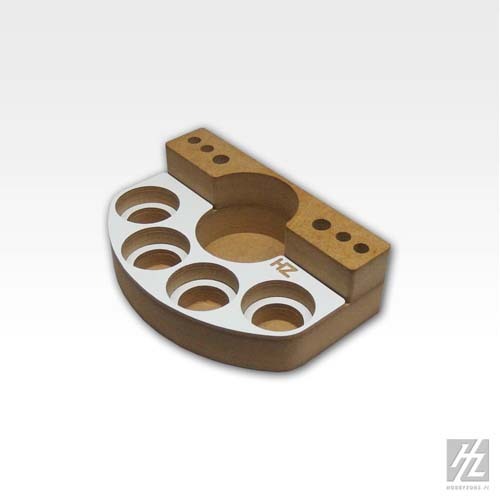 This Stand comes in kit form, consists of precision fitted parts. Wood glue is required for assembly (not included). 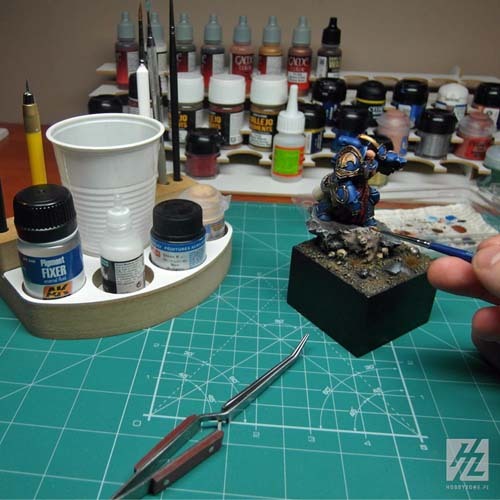 The SM01 Stand does not include paints, tools or accessories, pictures just show examples of use.